„Team motivatedbynature.eu“ will start at Transalpine-run 2011! 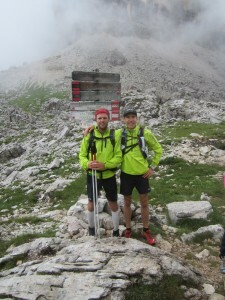 During Trailruncamp in the Dolomites in July 2011 a new team for Transalpine-run 2011 was formed: The Danish/German team „motivatedbynature.eu“. Thomas and Jens will start together. Janina applied with her husband in the beginning of 2011 for the TAR already. And Franky will act as manager and support us during TAR (at least at the beginning). A great run, a great team!